Stylish and contemporary accommodation is hard to come by in this south Belfast locale, which is why we're loving this new-build with trad façade boutique guest house. 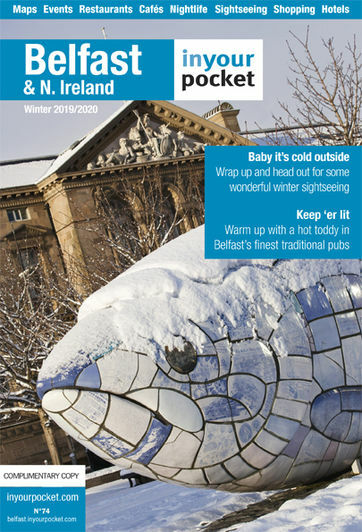 Nearby tourist hotspots include the King's Hall, PRONI (for tracing your Irish roots), Malone House, Lagan Valley and those chic Lisburn Road cafes and boutiques. But it's the eight bedrooms that really impress - each one named after a NI icon (Giant's Causeway, Bushmills, Botanic...) and all en-suite with jacuzzi baths or jet showers. And if you really want to pamper yourself, book the Titanic Suite with its very own sauna. Rates include cooked breakfast with local produce and free range eggs, or a refreshing fruit salad should you fancy a lighter bite. Find it 15mins drive from the city centre. (single £47, double £70, twin £75, Titanic Suite with sauna £85).